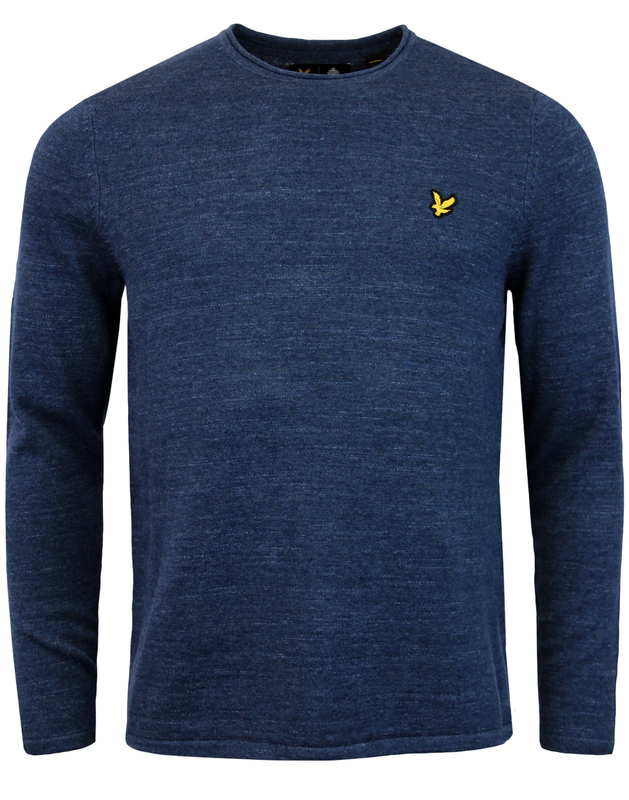 Lyle & Scott Men's Retro unfinished roll neck jumper in a stylish Vintage navy marl. 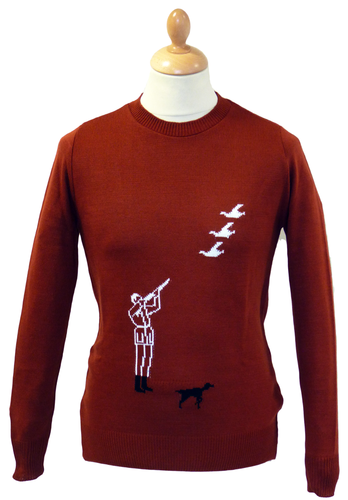 A cool take on a 1960s Mod classic, the roll neck jumper! 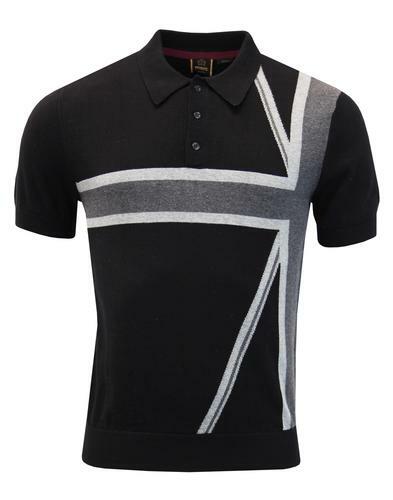 The neckline is parred down to it's pre-roll neck state creating a Retro distressed edge and a thoroughly modern take on the roll neck style. Perfect for that casual Indie rock and roll look - Team with jeans and biker boots for that old skool dishevelled vibe. 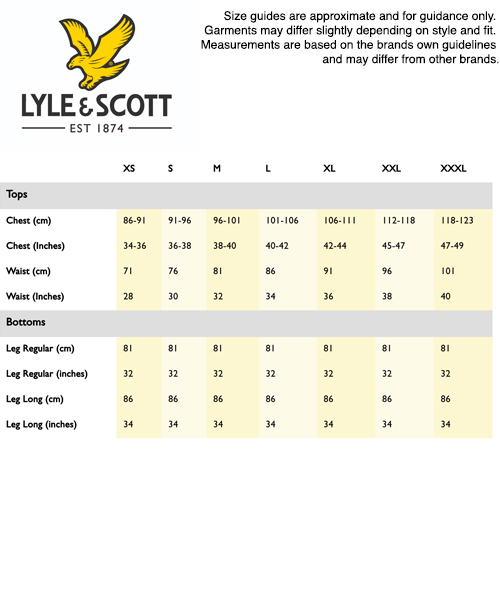 The Lyle & Scott unfinished Roll Neck is crafted from a luxurious cotton/linen blend fabric and is sure to be an innovative addition to your wardrobe. 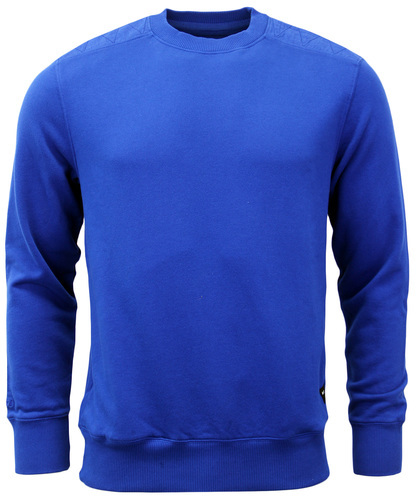 - Lyle & Scott men's retro unfinished roll neck in navy. 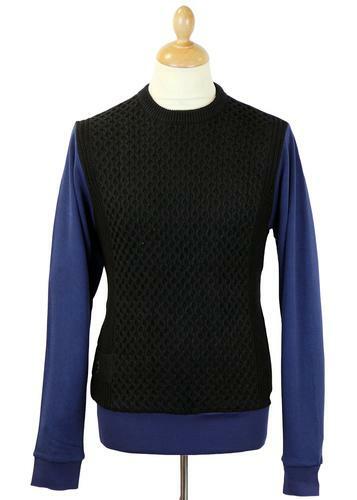 - Fine gauge knit jumper with navy marl textured yarn. - SKU: KN605V Unfinished Roll Neck Jumper. Composition: 72% Cotton, 28% Linen.